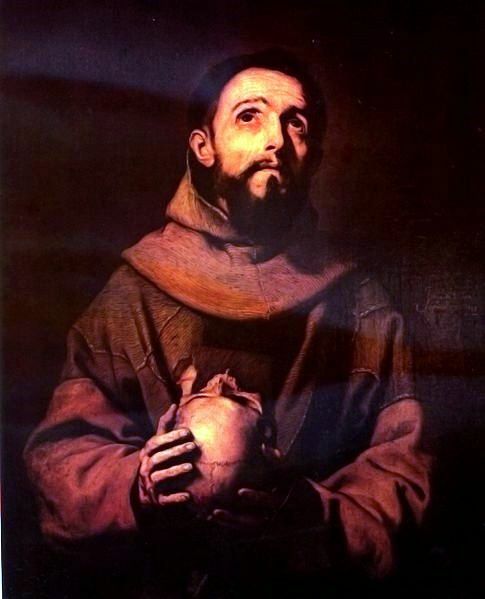 the founder of the Order of Friars Minor, more commonly known as the Franciscans. for Catholic churches to hold ceremonies honoring animals around his feast day of October 4. Francis was born to Pietro di Bernardone, a prominent businessman, and his wife Pica Bourlemont, about whom little is known except that she was originally from France. He was one of seven children. Pietro was in France on business when Francis was born, and Pica had him baptized as Giovanni di Bernardone in honor of Saint John the Baptist, in the hope he would grow to be a great religious leader. 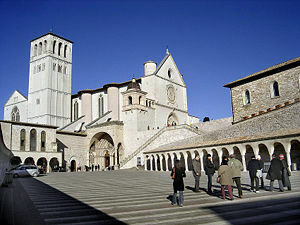 When his father returned to Assisi, he was furious about this, as he did not want his son to be a man of the Church. Pietro decided to call him Francesco (Francis), in honor of the child's maternal heritage. Rebellious toward his father's business and pursuit of wealth, Francis spent most of his youth lost in books (ironically, his father's wealth did afford his son an excellent education, and he became fluent in reading several languages including Latin). He was also known for drinking and enjoying the company of his many friends, who were usually the sons of nobles. His displays of disillusionment toward the world that surrounded him became evident fairly early, one of which is shown in the story of the beggar. In this account, he found himself out having fun with his friends one day when a beggar came along and asked for alms. While his friends ignored the beggar's cries, Francis gave the man everything he had in his pockets. His friends quickly chided and mocked him for his act of charity, and when he got home, his father scolded him in a rage. In 1201, he joined a military expedition against Perugia, was taken prisoner at Collestrada, and spent a year as a captive. It is probable that his conversion to more serious thoughts was a gradual process relating to this experience. 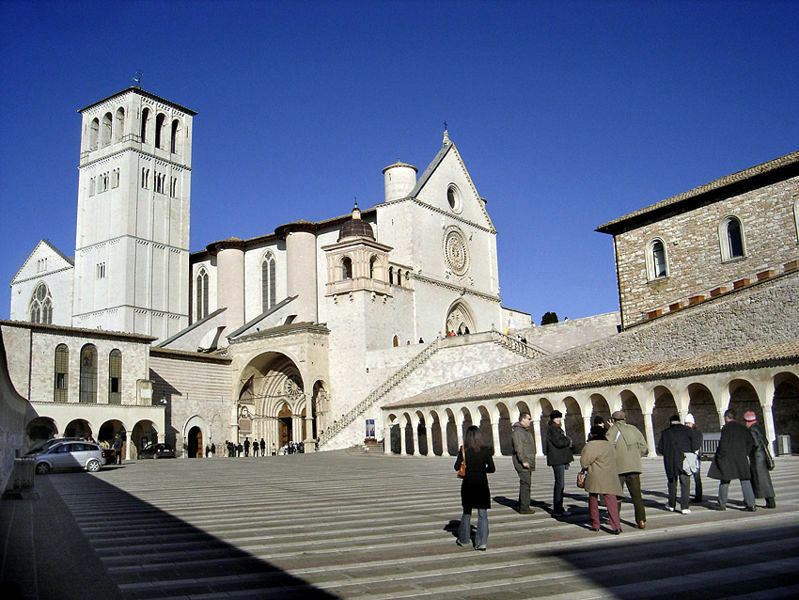 After his return to Assisi in 1203, Francis recommenced his carefree life. But in 1204 a serious illness started a spiritual crisis. In 1205 Francis left for Puglia to enlist in the army of Gualtiero di Brienne. But on his way, in Spoleto, a strange vision made him return to Assisi, deepening his spiritual crisis. It is said that when he began to avoid the sports and the feasts of his former companions, and they asked him laughingly if he was thinking of marrying, he answered "yes, a fairer bride than any of you have ever seen" - meaning his "lady poverty", as he afterward used to say. He spent much time in lonely places, asking God for enlightenment. By degrees he took to nursing lepers, the most repulsive victims in the lazar houses near Assisi. 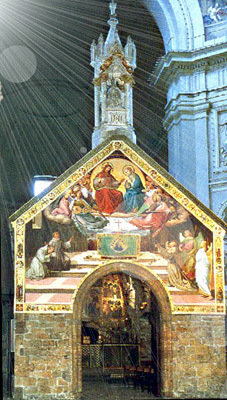 After a pilgrimage to Rome, where he begged at the church doors for the poor, he claimed to have had a mystical experience in the Church of San Damiano just outside of Assisi, in which the Icon of Christ Crucified came alive and said to him three times, "Francis, Francis, go and repair My house which, as you can see, is falling into ruins." He thought this to mean the very ruined church in which he was presently praying, and so sold his horse together with some cloth from his father's store, to assist the priest there for this purpose. Clad in a rough garment, barefoot, and, after the Evangelical precept, without staff or scrip, he began to preach repentance. He was soon joined by his first follower, a prominent fellow townsman, the jurist Bernardo di Quintavalle, who contributed all that he had to the work.  Many other companions joined Francis, and reached the number of eleven within a year. Francis chose never to be ordained a priest, and the community lived as "fratres minores", in Latin, "lesser brothers". The Franciscans are sometimes called Friars Minor, a term derived from "fratres", in Latin, "brothers". On 8 May 1213 he received the mountain of La Verna as a gift from the count Orlando di Chiusi. This mountain would become one of his favorite retreats for prayer. da Celano, (who would later write the biography of St. Francis) and some well-educated men joined his order. In 1219 Francis left, together with a few companions, on a pilgrimage of non-violence to Egypt. Crossing the lines between the sultan and the Crusaders in Damietta, he was received by the sultan Melek-el-Kamel. 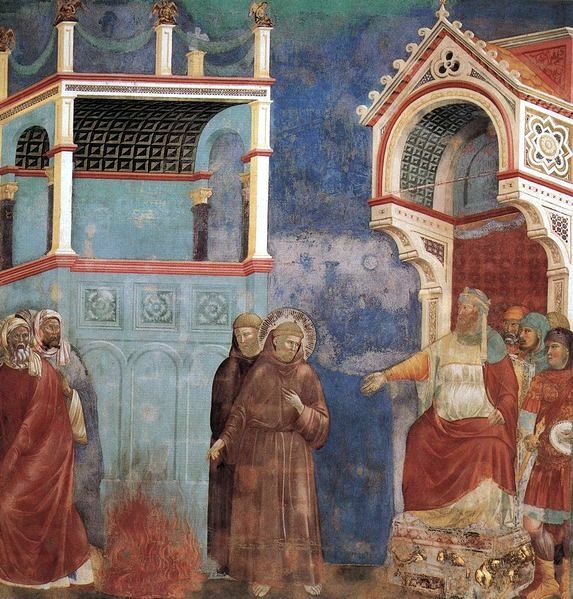 Francis challenged the Muslim scholars to a test of true religion by fire; but they retreated. When Francis proposed to enter the fire first and, if he left the fire unharmed, the sultan would have to recognize Christ as the true God, the sultan was so impressed that he allowed him to preach to his subjects. Though he didn't succeed in converting the sultan, the last words of the sultan to Francis of Assisi were, according to Jacques de Vitry, bishop of Acre, in his book "Historia occidentalis, De Ordine et praedicatione Fratrum Minorum (1221)" : “Pray for me that God may deign to reveal to me that law and faith which is most pleasing to him.”. At Saint Jean d'Acre, the capital of what remained of the Kingdom of Jerusalem, he rejoined the brothers Elia and Pietro Cattini. Francis then most probably visited the holy places in Palestine in 1220. Around 1220 St Francis of Assisi celebrated Christmas by setting up the first presepio or crèche (Nativity) in the town of Greccio near Assisi. He used real animals to create a living scene so that the worshipers could contemplate the birth of the child Jesus in a direct way, making use of the senses, especially sight. On 29 November 1223 the final rule of the order (in twelve chapters) was approved by Pope Honorius III. While he was praying on the mountain of Verna, during a forty day fast in preparation for Michaelmas, Francis is said to have had a vision on or about 14 September 1224, the Feast of the Exaltation of the Cross, as a result of which he received the stigmata. Brother Leo, who had been with Francis at the time, left a clear and simple account of the event, the first definite account of the phenomenon of stigmata. "Suddenly he saw a vision of a seraph, a six-winged angel on a cross. This angel gave him the gift of the five wounds of Christ." Cortona, Nocera) to no avail. In the end he was brought back to the Porziuncola. 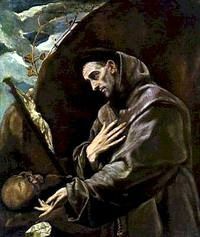 He was brought to the transito, the hut for infirm friars, next to the Porziuncola. Here, in the place where it all began, feeling the end approaching, he spent the last days of his life dictating his spiritual testament. He died on the evening of 3 October 1226 singing Psalm 141. His feast day is observed 4 October. 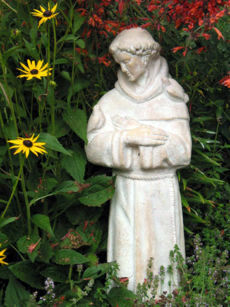 St. Francis is considered the first Italian poet by literary critics. He believed commoners should be able to pray to God in their own language, and he wrote always in dialect of Umbria instead of Latin. His writings are considered to have great literary value, as well as religious. "My sister birds, you owe much to God, and you must always and in everyplace give praise to Him; for He has given you freedom to wing through the sky and He has clothed you…you neither sow nor reap, and God feeds you and gives you rivers and fountains for your thirst, and mountains and valleys for shelter, and tall trees for your nests. And although you neither know how to spin or weave, God dresses you and your children, for the Creator loves you greatly and He blesses you abundantly. Therefore… always seek to praise God." 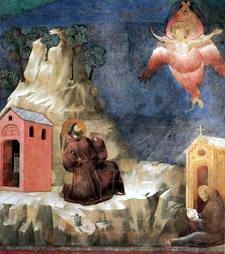 Another legend from the Fioretti tells us that in the city of Gubbio, where Francis lived for some time, there was a wolf “terrifying and ferocious, who devoured men as well as animals.” Francis had compassion upon the townsfolk, and went up into the hills to find the wolf. Soon fear of the animal had caused all his companions to flee, but the saint pressed on and when he found the wolf he made the sign of the cross and commanded the wolf to come to him and hurt no one. Miraculously the wolf closed his jaws and lay down at the feet of St. Francis. “Brother Wolf, you do much harm in these parts and you have done great evil…” said Francis. “All these people accuse you and curse you…But brother wolf, I would like to make peace between you and the people.” Then Francis led the wolf into the town, and surrounded by startled citizens he made a pact between them and the wolf. Because the wolf had “done evil out of hunger” the townsfolk were to feed the wolf regularly, and in return, the wolf would no longer prey upon them or their flocks. In this manner Gubbio was freed from the menace of the predator. Francis, ever the lover of animals, even made a pact on behalf of the town dogs, that they would not bother the wolf again. Legend has it that St Francis thanked his donkey at his bedside for carrying and helping him throughout his life, and his donkey wept. Order of the Holy Sepulchre, lay organization related to Franciscan hospitality in the Holy Land. Prayer of Saint Francis, a prayer attributed to St. Francis of Assisi although there is no record of it prior to 1912. The Flowers of St. Francis (1950), a film by Roberto Rossellini. A strange film, the characters are portrayed as almost comical in some ways. Also known as "Francis, God's Jester" after the original Italian title of "Francesco giullare di Dio"
Francis of Assisi (1961), a film by Michael Curtiz. Very much a Holywood version but enjoyable none the less. Brother Sun, Sister Moon (1972), a film by Franco Zeffirelli, portays Francis almost in the style of a hippy, probably fashiomable to do so at the time. Francesco (1990), a film by Liliana Cavani. No comments on this film as yet. Adapted from the Wikipaedia article on St. Francis - please e-mail me with any inaccuracies you may find.